Now, as most Commodore gamers should at least know, Jeff Minter's games have a reputation of being dubious, mostly psychedelic and mostly repetition of either his own form or of others. There are some exceptions to all that, but because his best titles were made either solely for the C64, or for too many machines to make compact comparisons of, I decided to take a leap of faith and do a comparison of Minter's second sequel to Gridrunner, regardless of it having four different versions. From all evident sources, it's clear that Voidrunner is not even nearly one of Minter's finest hours, nor the best remembered. After all, this was still practically the same old Minter stuff going on in 1987, so it's no wonder people were expecting a little bit more. The evidence of Voidrunner's relative lack of exposure and, very likely, public interest, can be found in the game's current ratings at our favourite haunts: the score at Lemon64 is 6.7 from 23 votes; the Plus/4 World score is 7/10 from 8 votes; the World of Spectrum score is 6.11 from 9 votes, and the rating at Generation-MSX is 3.5/5.0 from 4 votes. If Voidrunner was ever in need of more exposure, this is a good a time as any to do a comparison of it. First came Gridrunner, a frantic grid-based single-screen shooter loosely based on Centipede. This was followed by Matrix, which merely enhanced the experience. Both of these Minter classics were made in the very early 1980's, so I can imagine the gaming press' surprise, when another Minter game bearing a similar title to the two classic shooters was announced in 1987. While it has been called a sequel to the other two games, it doesn't appear to have much of similarities to the two Gridrunner games apart from the name... and the fact that it's a single-screen shooter with a good amount of clear Minteresque psychedelia and evidence of his obsession with farm animals. The reasons why Voidrunner is so badly remembered these days are obvious: despite its changes into the old form, it was still a helplessly old-form game; the game being published through one of Mastertronic's budget labels instead of Llamasoft; and it was one of the last games Minter ever did for the 8-bits along with Revenge of the Mutant Camels. Clearly, after he did Iridis Alpha for Hewson in 1986, there was no way but down. But for fans of Minter-psychedelia and this type of shooting, Voidrunner is a nice, cleanish arcade game, which would have been a masterpiece in 1984. Give it a try, but don't expect anything groundbreaking. One rather curious thing about Voidrunner is its decided lack of any loading graphics - after all, there's a certain nothingness in the name, too. Apart from the SPECTRUM and MSX versions showing an obvious "Voidrunner is loading" text in the middle of the screen, you don't get much more than that. The PLUS/4 version takes the idea even further, and once the main bit of the Novaload scheme has been dealt with, the loader erases the Novaload text bits for the remaining duration. In a way, it's a bit disturbing, but it's Minter - what did you expect. Loading screens, left to right: Commodore 64, Commodore 16/+4, MSX, ZX Spectrum. Curiously, the two Commodore versions represent the opposite ends in loading times, but it's still obvious from all versions that this game was created for a quick blast, taking the idea all the way to minimizing the loading time as much as possible. Have to give Minter credit for that at the very least. If you have ever played either of Minter's previous Gridrunner games, or even more likely, Atari's classic Centipede, you basically know what you're up against here: your small spaceship against strings of worm-like formations of small alien creatures (this time droids), who leave debris behind when killed, which also need to be destroyed. Only there are a couple of specific characteristics in Voidrunner, that will set it clearly apart from all of the above: you control a ship constructed from four pieces, which are reconfigured for each new level, which also changes the way the ship shoots and moves; there are more enemy formations than in the previous two games in the series; and instead of two grid-based sharpshooters cross-shooting at you from the left and below, there is now a single beam of light called the Zapper, which loops through the area, top to bottom, and pulses a destructive light beam that lasts for a short period of time in a downwards proceeding manner for each loop. Similarly to Centipede and the earlier games in the series, both your hand/eye-coordination skills and shooting precision are put to a real test here. Although the gameplay is simple enough on paper, it's the massive amount of graphical elements flying all around the screen at all times that make this game such a challenge. That said, the graphics are still perfectly suited for this sort of a game, but we will get to that later on. There are only a couple of massive differences between the four Voidrunners, but most of them are rather inconsequential. In all versions, the movements of every object is character-based, only the general game speed seems to be the obvious difference. The character-based movement is really what makes the game a bit of a chore to play, since hitting anything with your bullets is a matter of 50/50 chance. Most notable difference is, perhaps, that the C16/Plus4 version starts from what is the second level in all the other versions. Another big difference, which took me a good while to notice, is that in the SPECTRUM and MSX conversions, if you die during a level, you start from the beginning, which can be superbly irritating. Once you spend more time with each version, though, you start to notice some other minor differences, like the way your ship shoots at the centipedoids as you keep your fire button down (yay!, an in-built autofire!) and the amount of time it takes for the Zapper pulse beam to go off. Like most other Jeff Minter games, Voidrunner needs to be seen in action to get a better idea of how well these odd character-based graphics actually work, but hopefully, some aspects of Voidrunner's graphics can be shown well enough in screenshots. Title screens, left to right: Commodore 16/+4, Commodore 64, MSX, ZX Spectrum. Considering the loading screen was so completely about emphasizing the void, it's a bit silly that Minter took the completely opposite approach for the title screen. There's all sorts of flashing and colour-cycling going on in the logo section, which features the name three times just to make sure you notice it; and there's also these animated dot patterns doing some funky psychedelic things in the surrounding dark areas. The top and bottom areas of the title screen are taken by info panels with different kinds of shading patterns for the two COMMODORE versions. Already from the title screen, you can see some hints to Voidrunner perhaps having been tailored for the C16 instead of the C64, judging by all those more natural shadings and all. The MSX and SPECTRUM versions have a more standard control menu with no psychedelia at all, and only the SPECTRUM version features a nice single-colour alternative rendition of the game logo. "Enter level" screens, left to right: Commodore 16/+4, Commodore 64, MSX, ZX Spectrum. Still entering level - morph animations, part 1. Top row: Commodore 16/+4. Bottom row: Commodore 64. ...you get the actual level-entering animations, which in the original order goes: fade-in of the top and bottom coloured bars; the top bar melting down from the middle; the screen filling up with animated dot patterns onto a grey/blue background and the appearance of the info panel at the bottom; the top and bottom bars reappearing and making the background in both versions black; and finally, the four pieces of your ship being spawned by beams coming from all four main directions. That's a whole lot of animation to endure at the beginning of each level. At least you won't have to deal with the same thing after each death - it's just the spawn animation then. Still entering level - morph animations, part 2. Left: ZX Spectrum. Right: MSX. The SPECTRUM and MSX versions have dropped the fading bars element, which I have to admit, makes the levels look less interesting and psychedelic, but at least it eats up about 10 seconds of time for each level. Of the said two, the SPECTRUM version looks a tad better, since it reveals the starry background as the "melt" animation happens, while the MSX version does the melt bit first, then drops the background unceremoniously to the background as you start spawning. In-game screenshots from the Commodore 16/+4 version. The in-game graphics are more logical to look at each version on its own, so let's start with the C16/+4. Most notable graphical element you will notice are the bars at both vertical edges that fade into darkness towards the center of the screen, and each level uses a different colour for the bars. Also, the animated star patterns in the background are different for each level. Although the least interesting part of Voidrunner's graphics are your own ship and the enemies, since you can't put much of details in single character blocks, you might want to take a closer look at all the enemy formations - the formation's colour shadings often change within the lines. Very cool, but not very noticable in action. It's not that often that a C16/+4 version can boast of higher quality graphics than a C64 version of the same game, but this time, it's a clear win for the former. The neat shading tricks are gone, the vertical edge bars are always oddly grey-shaded, and it's only the weird star patterns in the background and your ship form that somehow convey your current level elsewhere than in the info panel. Still, it's much better than the remaining two. In-game screenshots from the MSX version. The SPECTRUM and MSX versions look very much alike - at least I wasn't able to detect any real differences between the two after the level-entering animations. Comparing them to the two COMMODORE versions, for starters, you get no vertical edge bars at all, and the animated star patterns aren't quite as varied, and due to understandable technical difficulties, never change colour. Also, due to the game speed, you never get quite the same feel of on-screen traffic as you get on the C16/+4 and C64 versions, which makes the SPECTRUM and MSX versions, in a way, more sedative to look at. Game Over screens, left to right: Commodore 16/+4, Commodore 64, ZX Spectrum, MSX. Even Game Over has been made into a proper graphical occasion in both COMMODORE versions, as a large blocky text comes from the top-left corner, leaving a trail of different coloured/shaded Game Over texts as it arrives to the center of the screen, which is otherwise occupied by the same starry background as you saw in the level-entering segment before spawning. The SPECTRUM and MSX versions only have a regular small text in the middle of the starry surroundings. High Score tables on the Commodore 16/+4 (left) and Commodore 64 (right) versions. Last and in many ways the least, the COMMODORE gamers can boast of getting an high score table, into which you can write a small novel. Graphically, it's nothing of real interest after all the earlier show, but very few games have ever allowed as much of characters put into your high score entry than what Voidrunner did. Then, of course, the other two versions don't even keep a top score in memory, let alone a list of the highest scores. 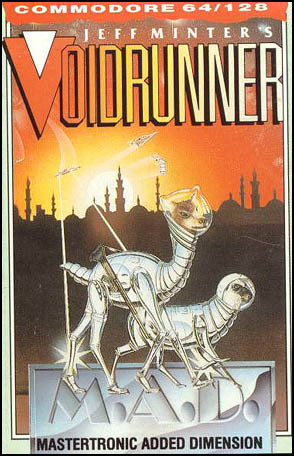 It's pretty clear that Voidrunner is essentially a Commodore game as far as its graphics are concerned, but more specifically, the C16/+4 machines seem to have been more suitable with their less restrictive palettes, allowing for better use of shading, rather than a seemingly random mish-mash of available colours. From the other two versions, the SPECTRUM version is the more advanced option. Brilliant soundtracks is not something anyone would associate with Jeff Minter's games, and Voidrunner makes no exception to this rule. The only bit of music you will hear during the entire game is the familiar five-note melody from Close Encounters of the Third Kind, which is played every time you are introduced to the new level's animal title, with an odd phaser/flanger-like effect. At least this is something all four versions have in common. The title screens offer no sounds at all in the SPECTRUM and MSX versions, but in the two COMMODORE versions, you get random outworldly noises at not so random times. Already in the title screen, you can notice there being filters and effects being used in the C64 version, that the C16/+4 version is lacking, and these differences in finesse is evident throughout the game. Similarly, while the SPECTRUM and MSX versions have a similar amount of sound effects between themselves, and are a good notch or two less noisy than either of the COMMODORE versions, the SPECTRUM version has more finesse overall in its sound effects. If you're looking for something innovative from Minter, Voidrunner is not going to be on your checklist, but that doesn't mean it's not a good game. In fact, it's far from being bad, but it was too outdated for its time to ever have a real chance of gaining wider approval. Voidrunner takes an eight-year old concept and reinvents it like a maniac, which should be - and can be - fun, if taken out from its chronological context. It has its fair share of problems, but more importantly, it's surprisingly addictive. Choosing the most optimal version of the four is difficult enough for me to not go with my usual scoring method - once again, proper scores need to be given. For better examples of why Jeff Minter became such a household name for Commodore gamers in particular, games like Hover Bovver, Batalyx, Attack of the Mutant Camels and Iridis Alpha should suit the purpose just fine. If you feel like exploring his 8-bit catalogue outside of the Commodore realm, there aren't too many non-Commodore games, but Headbangers Heaven, City Bomber and Super Deflex were Spectrum-exclusives, and a light synthesizer program called Colourspace was only released for the 8-bit Atari computers and Acorn BBC Micro, although you could argue that Minter's Psychedelia was basically the same thing remade for other machines. And with that, it's time for FRGCB to go back into full hibernation mode. 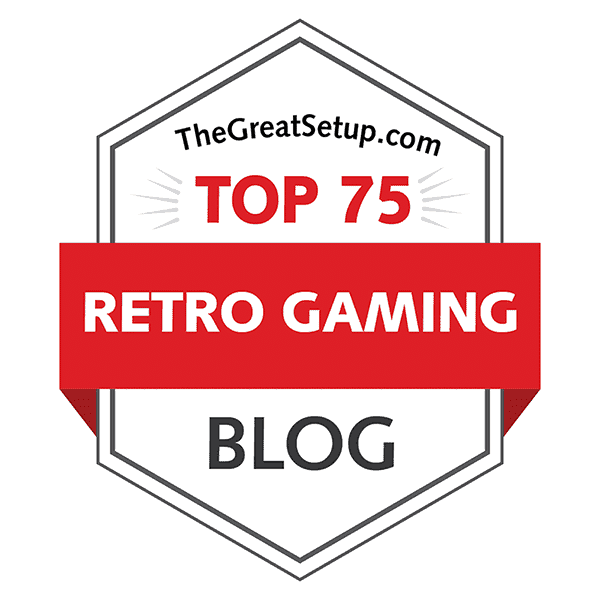 I hope that at least one of you readers out there might catch the bug of comparing all the available versions of all kinds of different retrogames, and continue this work that has seemed to be valuable to at least some of you out there. Perhaps even devise a better method of giving scores while at it. For my part, these mini-comparisons for the RESET magazine that they call Format Wars will be all that I will be doing related to FRGCB for the foreseeable future (whenever I can find the time), but I guess four and a half years of heavy duty retrogame comparing is enough for a while. Thanks for reading, everybody! See you on the forums (maybe)!